When you are drowning in an underwater mortgage and about to lose your home in a foreclosure, a loan modification can seem like the way out. While this may work for some, mortgage lenders sometimes give homeowners inaccurate information or make serious errors through the modification process, which can lead to the homeowners losing their homes anyway. A loan modification is supposed to help a homeowner by restructuring their mortgage in order to offer a lower monthly payment that the homeowner can afford. Through a loan modification, the borrower can receive a lower mortgage interest rate, a reduction on the principal owed, or an extension on the time to pay back the loan. Generally, a homeowner can get a mortgage loan modification even before he is in default on the loan. The homeowner can apply for the modification when he realizes that he is about to become behind on the loan because of a sudden financial change, such as a job loss. For example, homeowners who are eligible for refinancing through the Home Affordable Modification Program (HAMP) do not have to be in default in order to get a loan modification; they just have to be in danger of defaulting. However, some loan servicers tell homeowners that they have to be in default before they can be approved for a loan modification. Being in default means that the homeowner is behind in making payments on the mortgage. This can be dangerous for the homeowner because being behind does not guarantee the loan modification will be approved. Once a homeowner is behind, this may trigger certain clauses in their mortgage loan agreement to accelerate the full loan amount, making it due immediately. 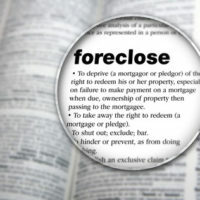 When the homeowner cannot make the required payment, the mortgage lender can begin foreclosure proceedings. In the past, after homeowners followed the suggestion that they should be in default in order to apply for a modification, they found out too late that the mortgage lender had begun foreclosure proceedings anyway. This was done after the homeowner applied for modification and before the application was reviewed and a decision made. This was known as dual-tracking. Fortunately, there are rules that prohibit mortgage lenders from doing this, for example by prohibiting the mortgage lender from initiating foreclosure proceedings while a modification application is in review, unless some exceptions apply. Loan modifications can be useful and in some cases can keep a homeowner who is going through a temporary financial rough patch from losing his home. However, for other homeowners who cannot afford the mortgage anymore because they owe more than their home is worth and they are having financial problems, it is better to consider other mitigation alternatives. If the mortgage lender has already begun foreclosure proceedings, it is best for the homeowner to consult with an experienced attorney to discuss foreclosure defense. If you are struggling with paying your mortgage and you are facing foreclosure, contact Louis S. Schwartz and his team at ConsumerLawPa.com to speak to a Philadelphia foreclosure defense attorney. There may be other alternatives available to you to save your home or to avoid owing the bank money after a foreclosure.